Can Horseback Riding Make you Smarter? We all know that horseback riding makes you happier, but now a study from Tokyo University of Agriculture shows that riding may help children learn. It turns out that the vibrations that occur when horses are ridden, activate the brain’s sympathetic nervous system. The study, published in Frontiers in Public Health, involved asking children to complete simple response and mathematical tests, before and after riding a horse. The results showed that riding horses greatly improved the children’s ability to perform behavioral tasks, leading to better memory, learning, and problem solving. The findings were less significant when it came to math problems. 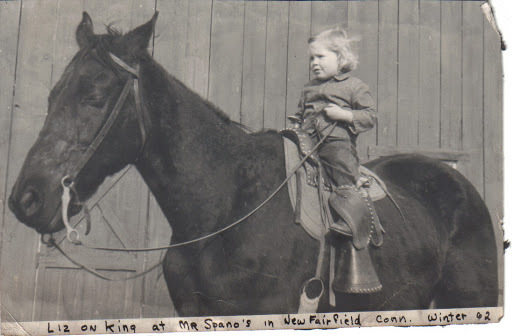 My parents started me riding at age 2. They must have anticipated that it would make me smarter. Well, that explains a lot. I was never very good at math although I rode a lot during childhood! But for all of us with children, it gives us yet another reason to plop that toddler on a pony and tell them to kick on. A great post from Equine Ink on research into the benefits of riding for the human brain. The unique motion of the horse stimulates the nervous system. Check out this short video. Your opinion?